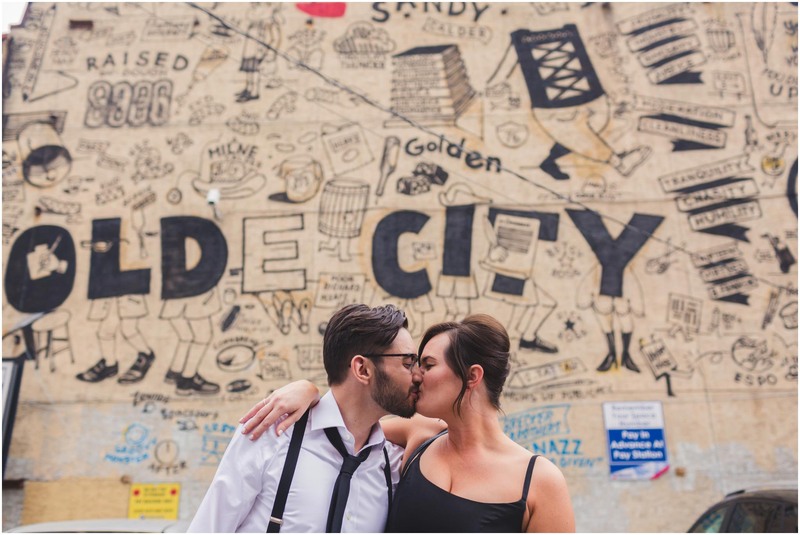 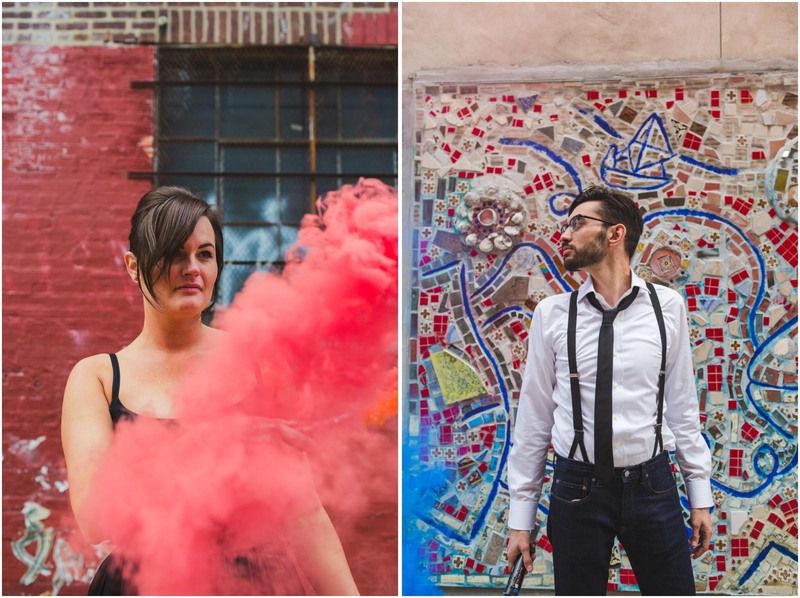 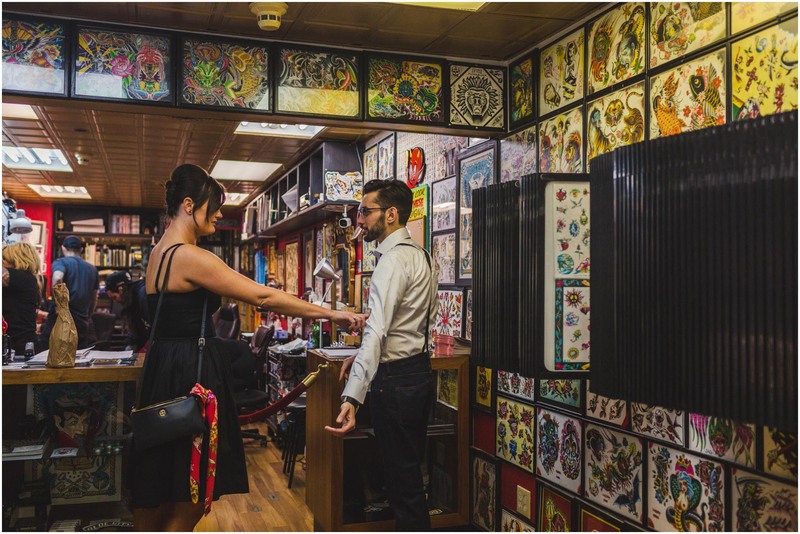 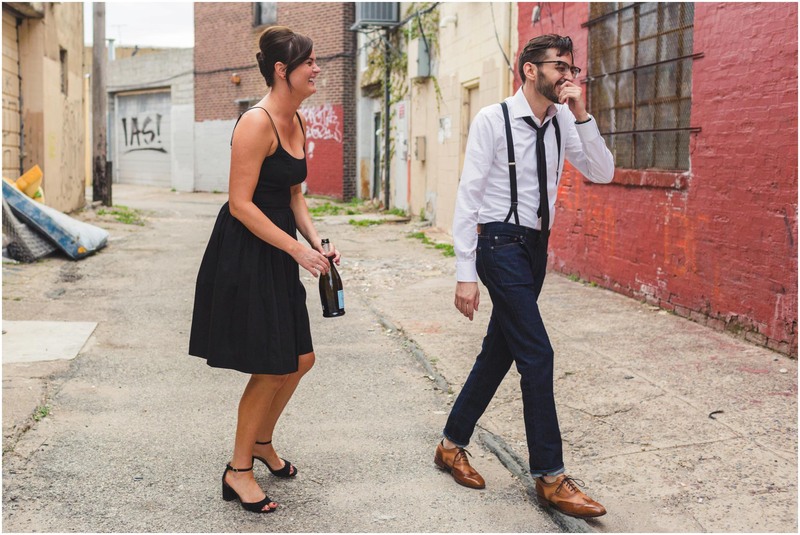 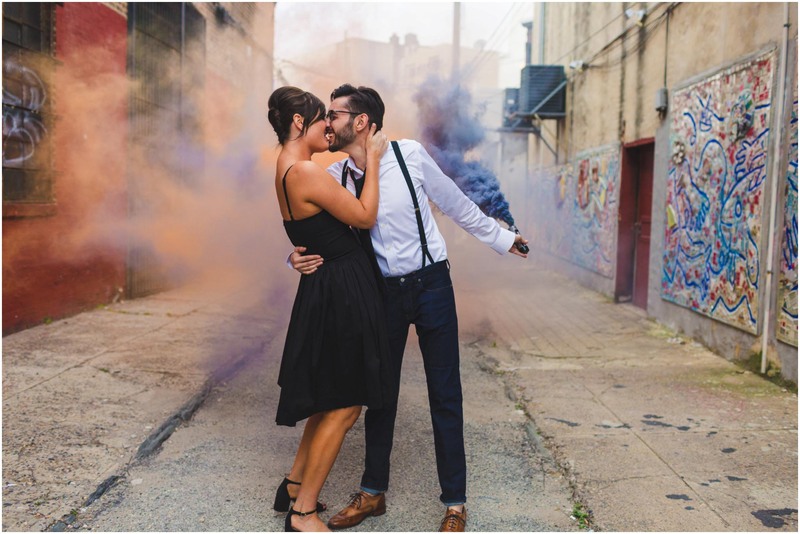 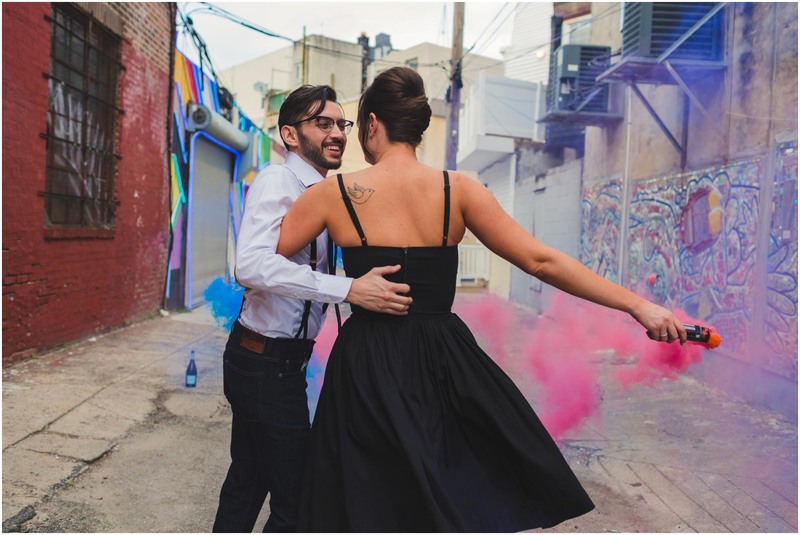 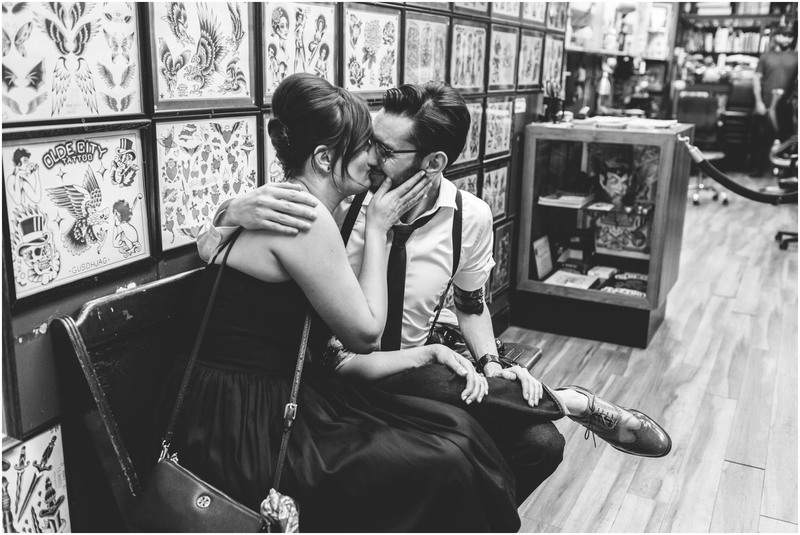 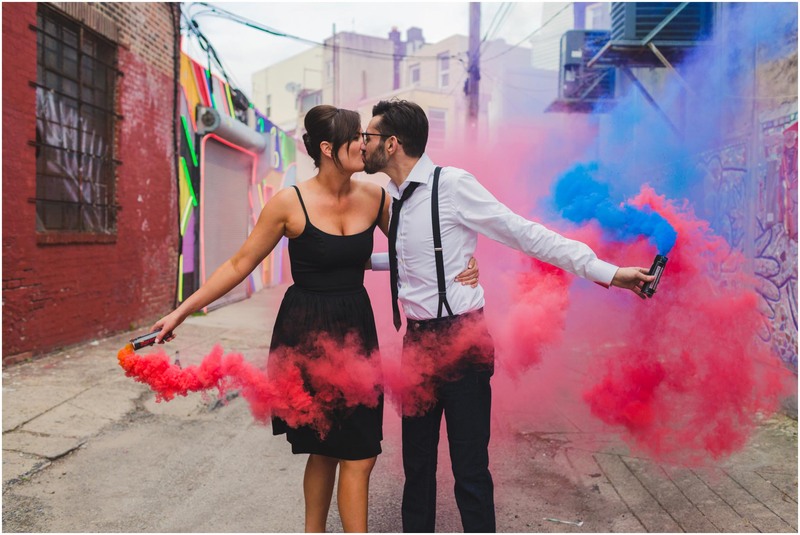 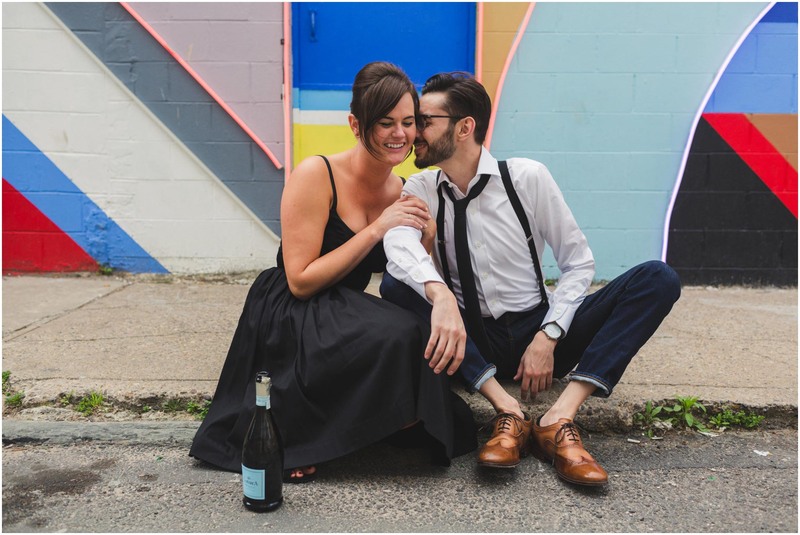 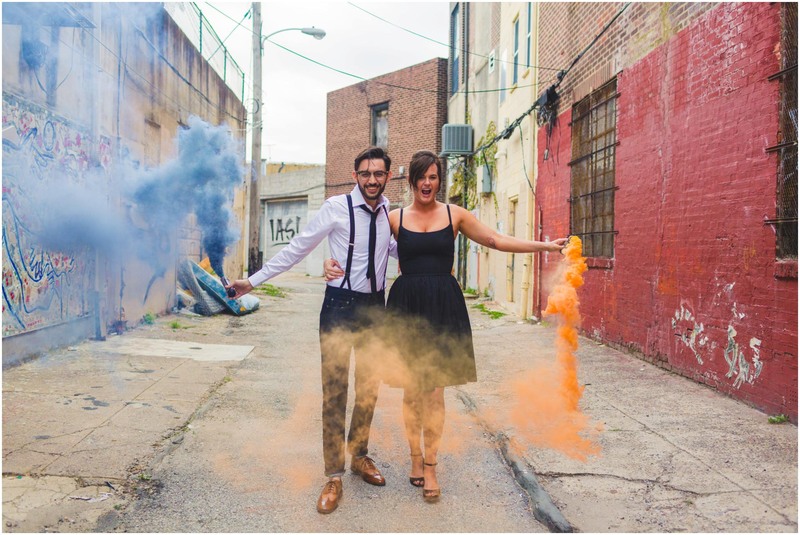 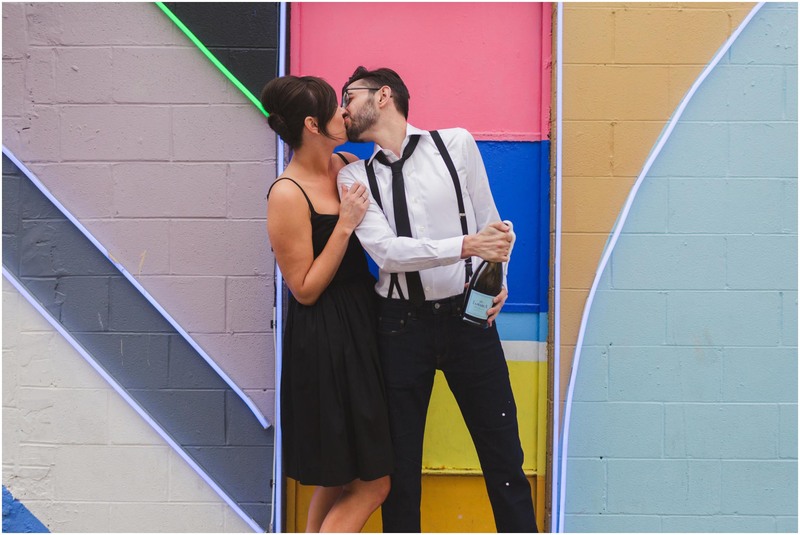 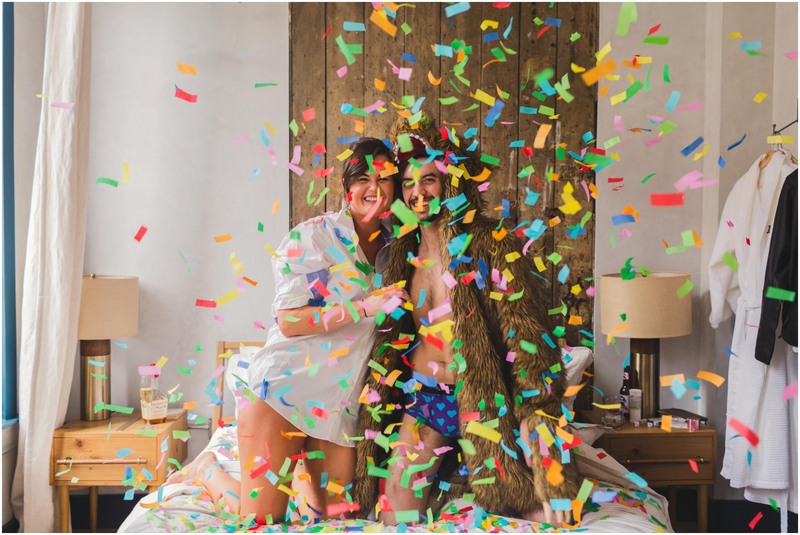 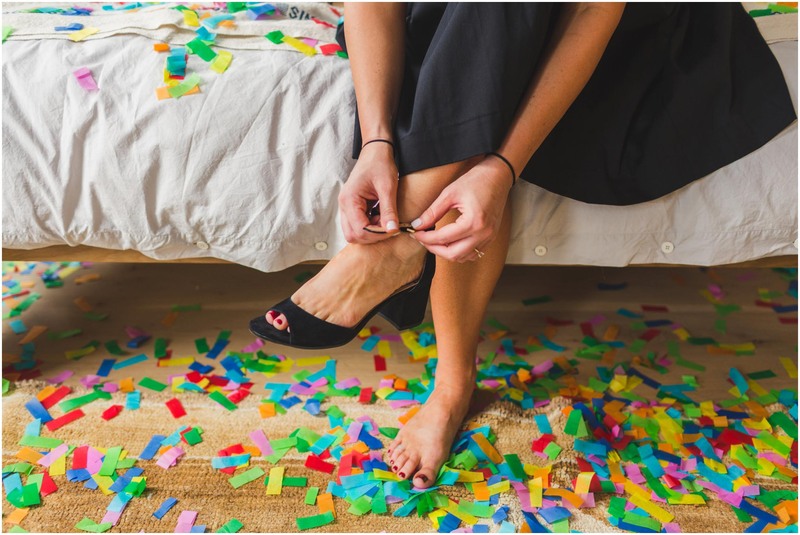 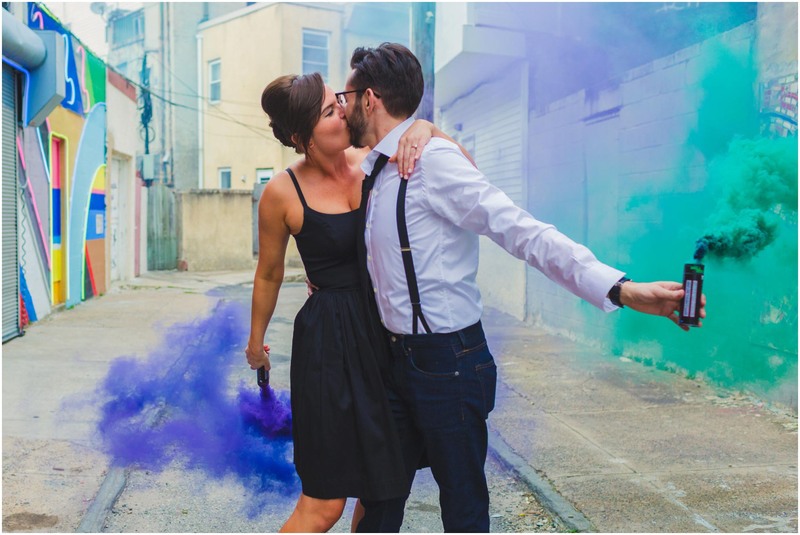 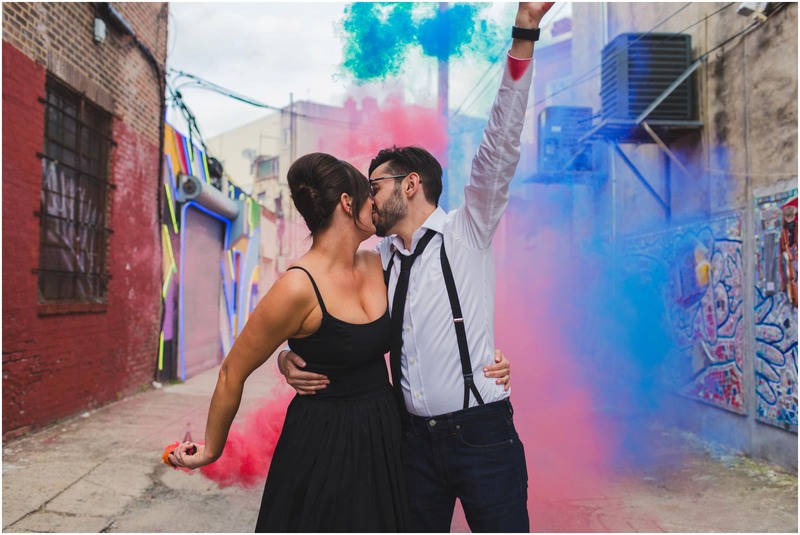 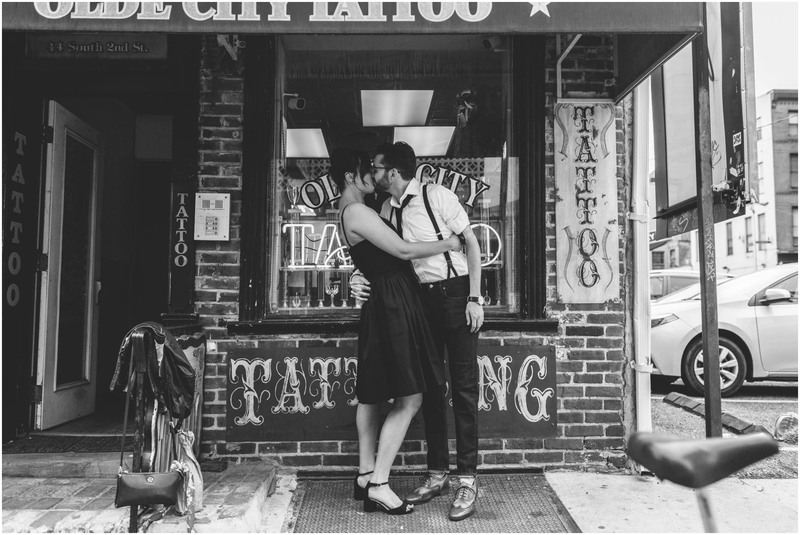 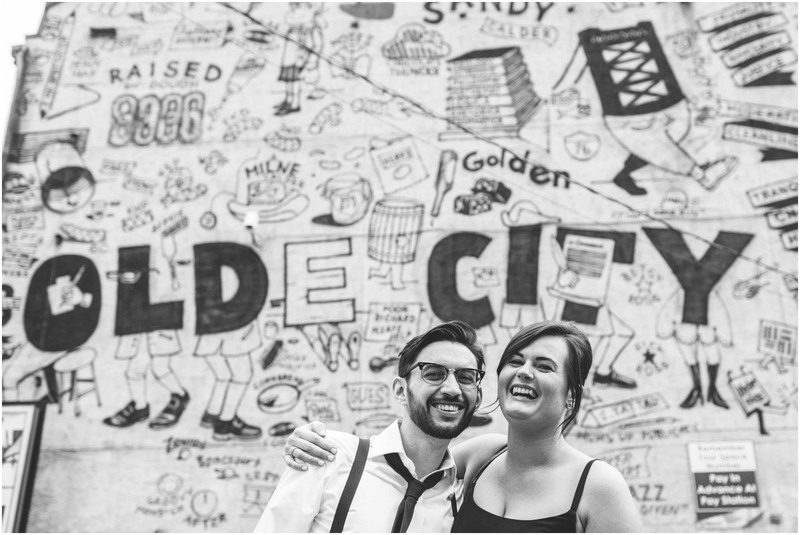 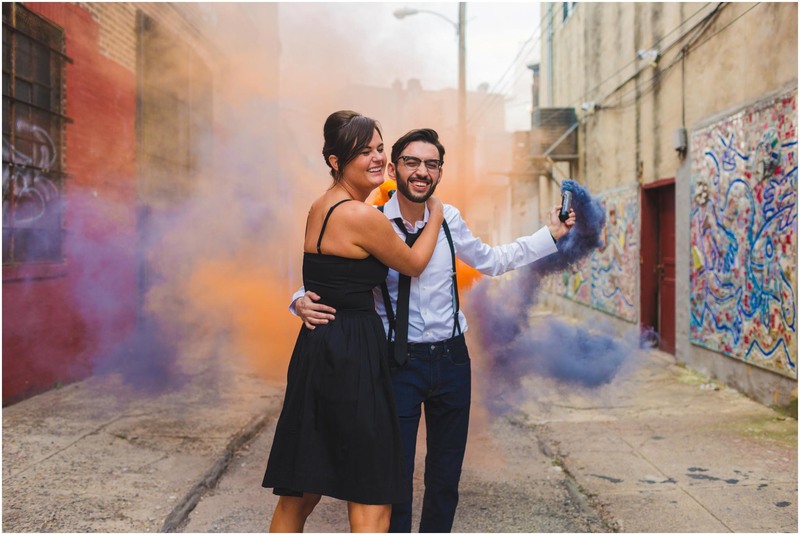 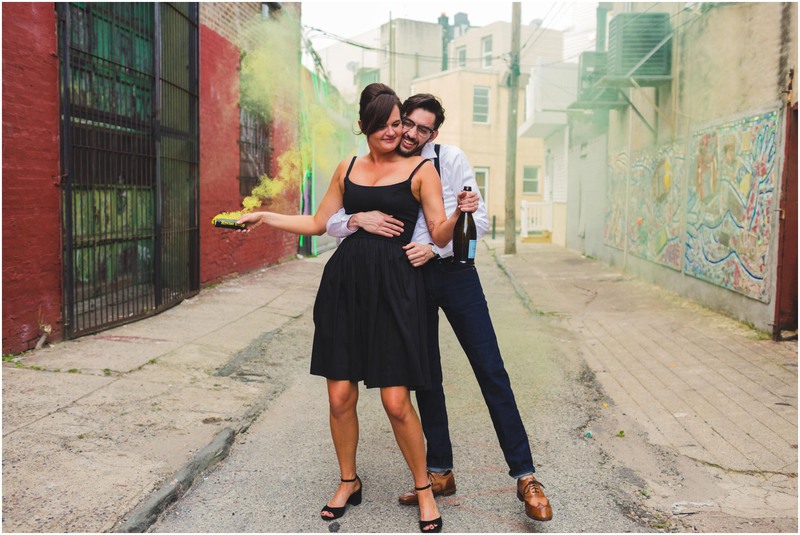 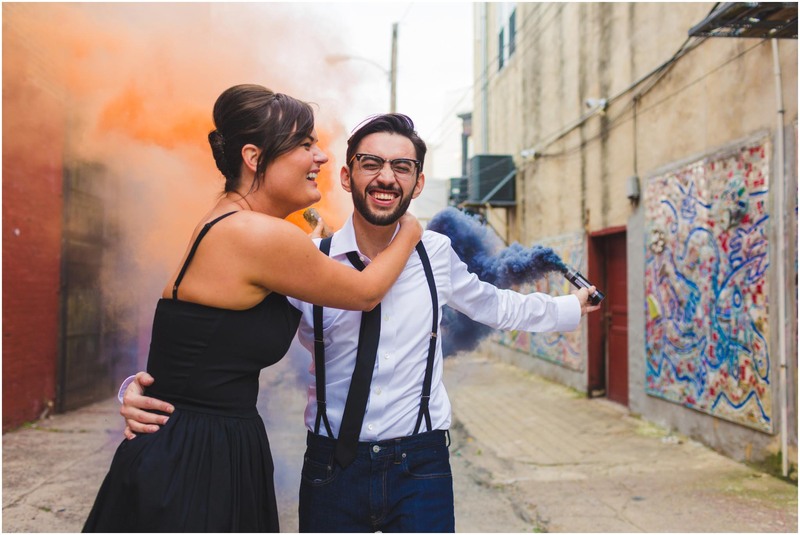 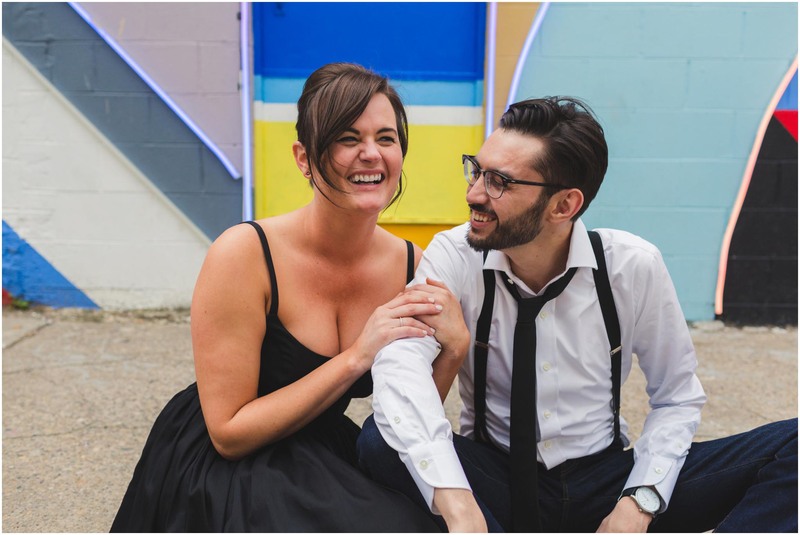 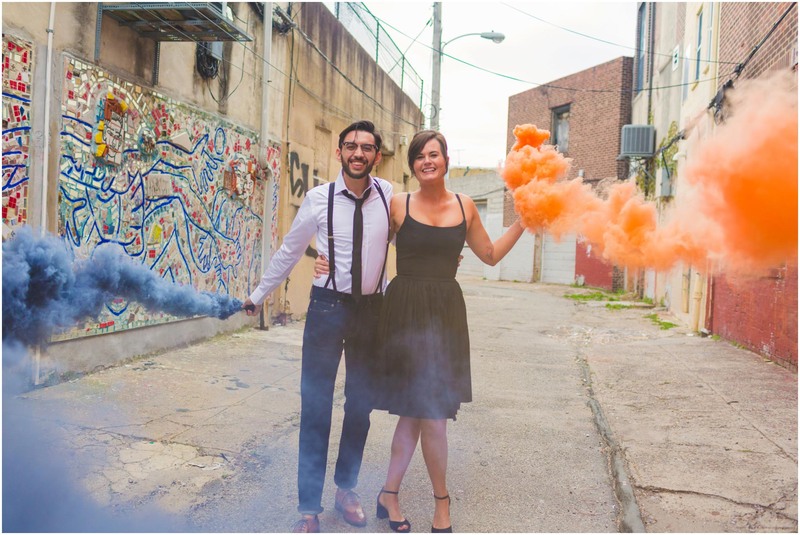 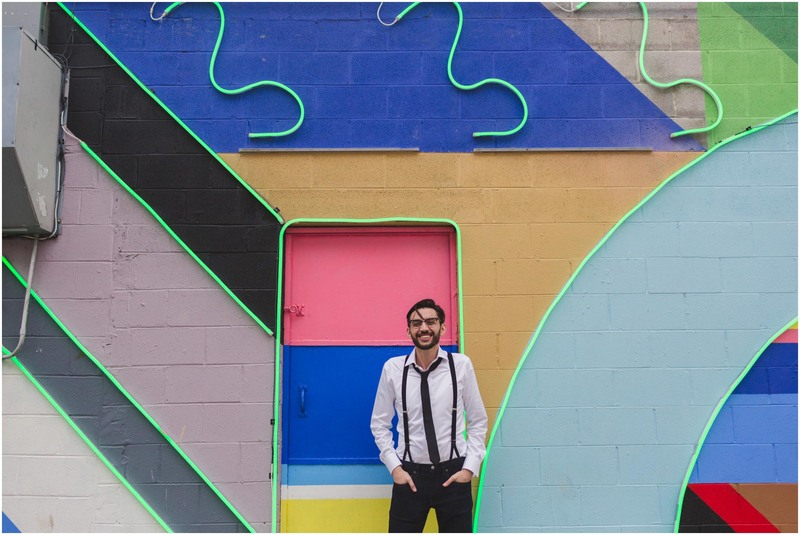 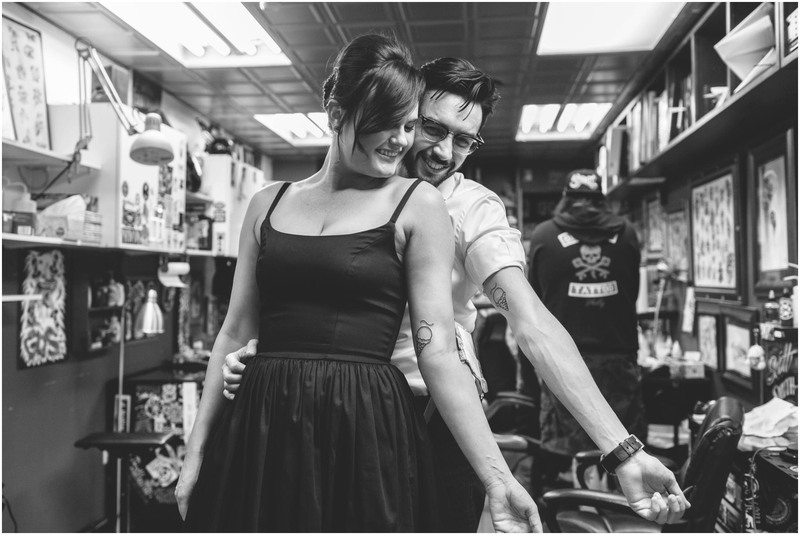 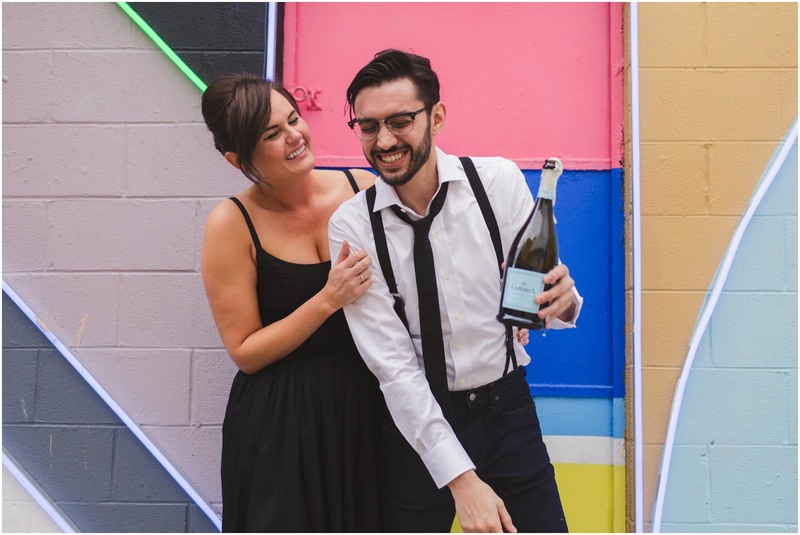 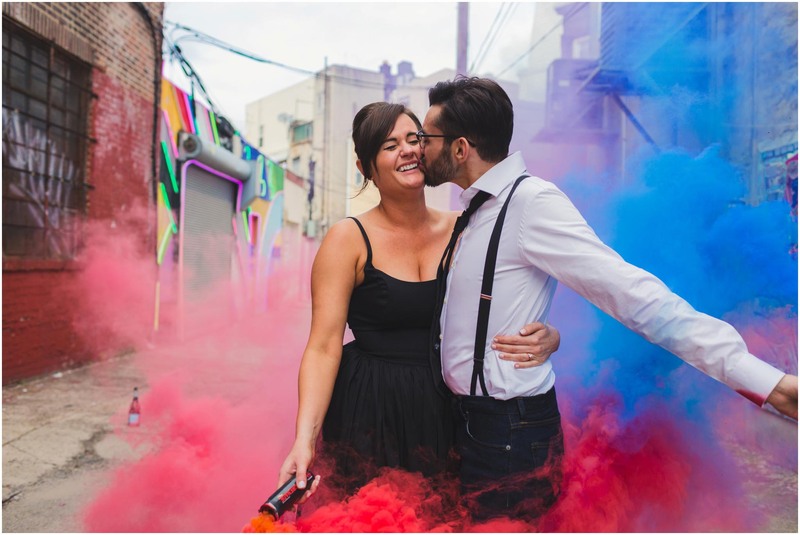 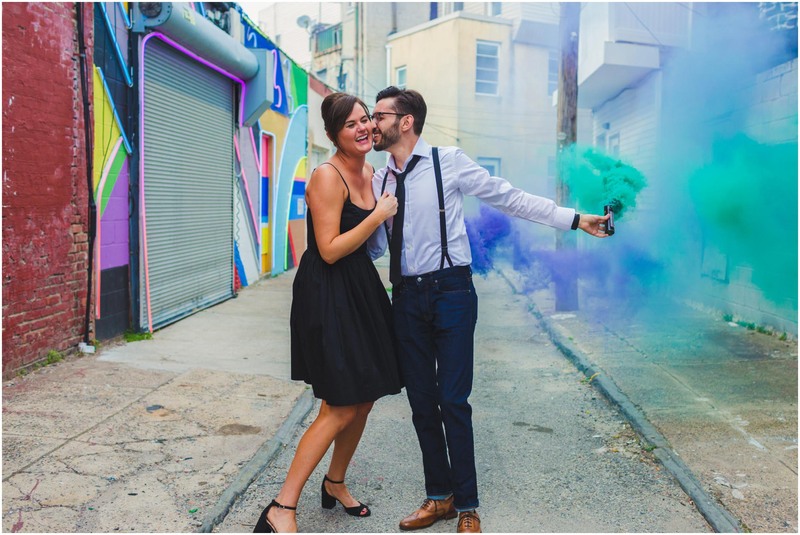 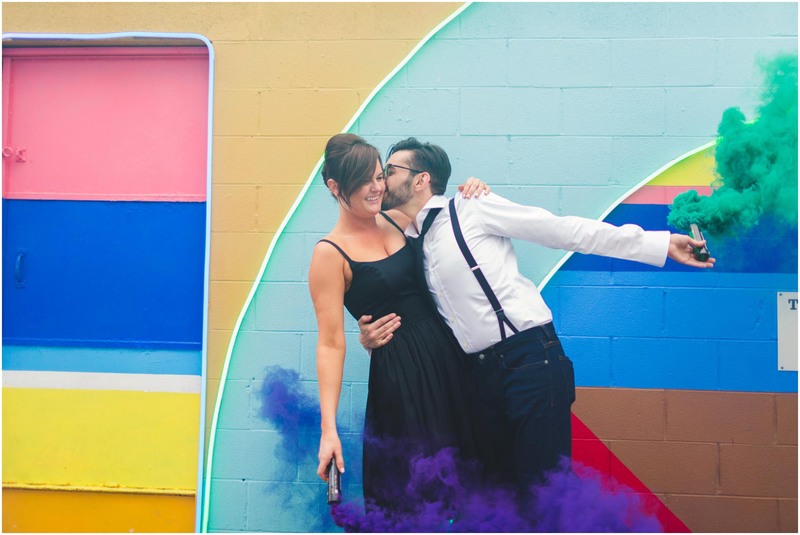 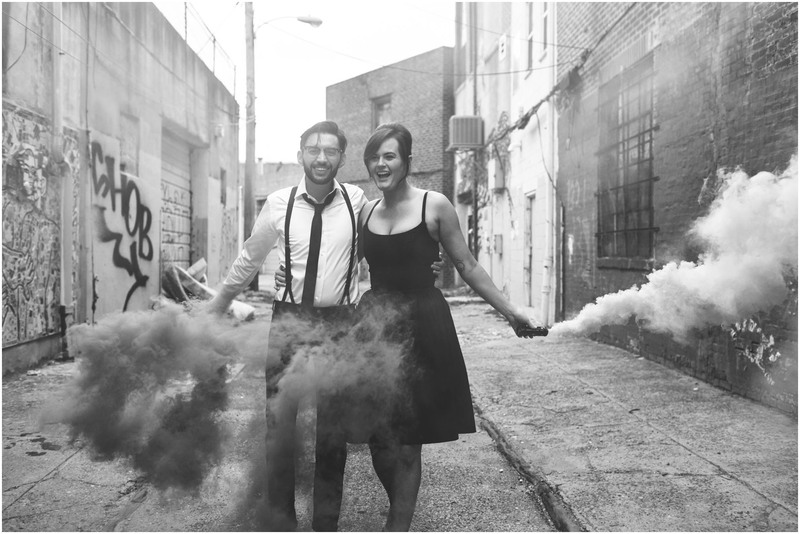 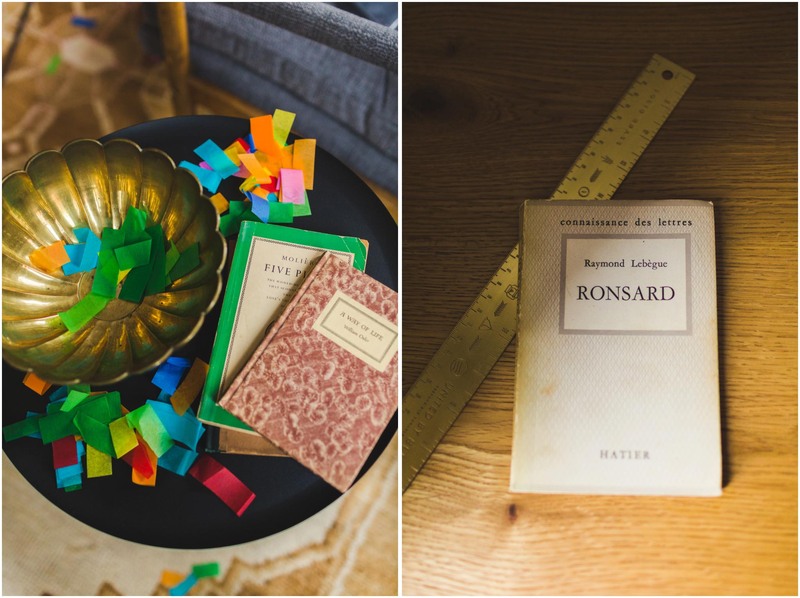 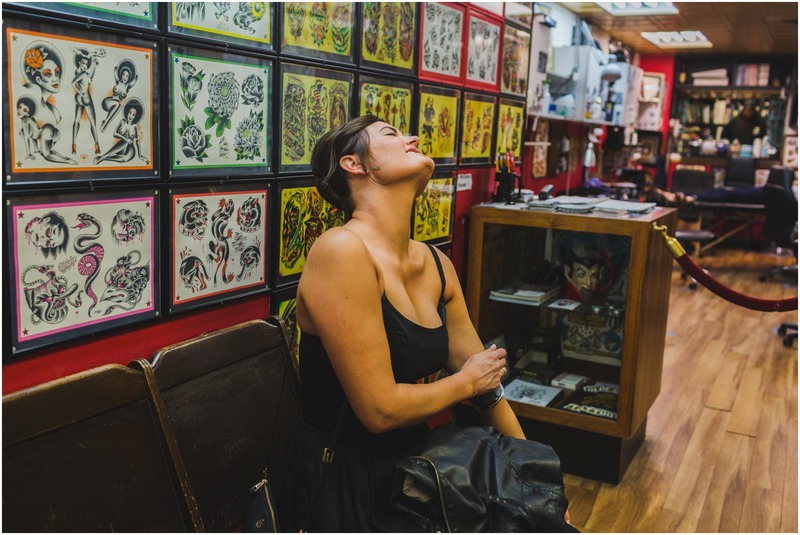 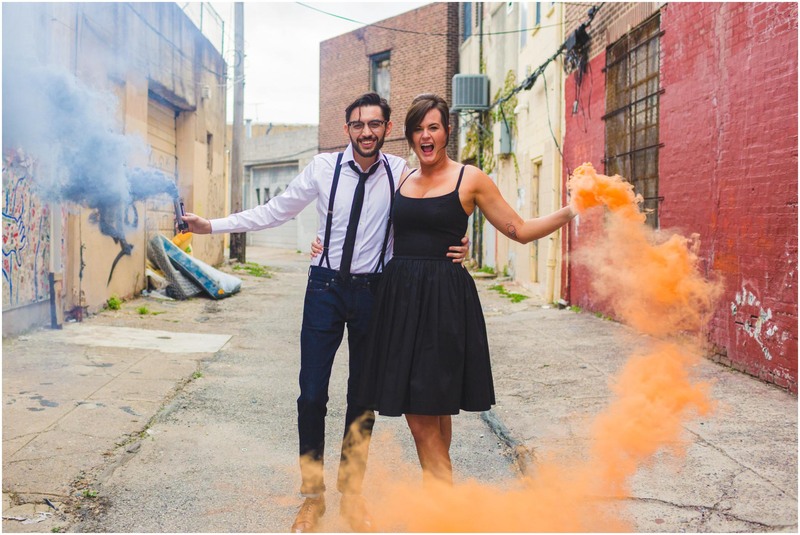 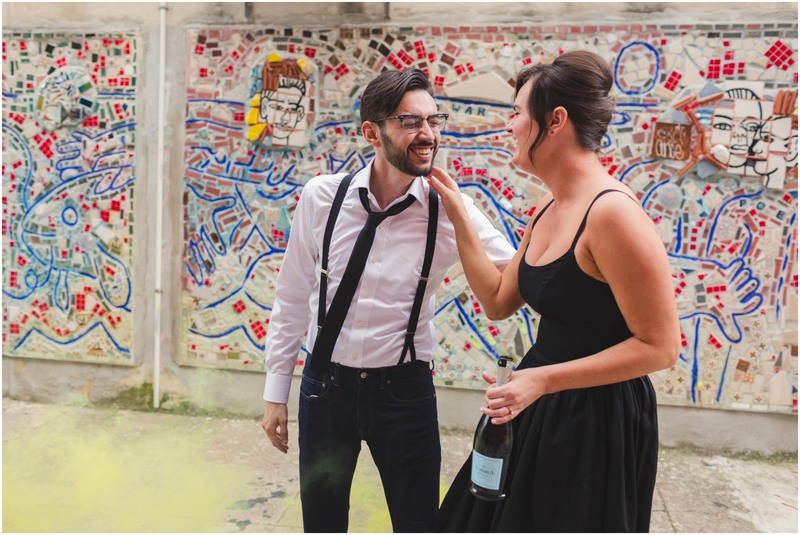 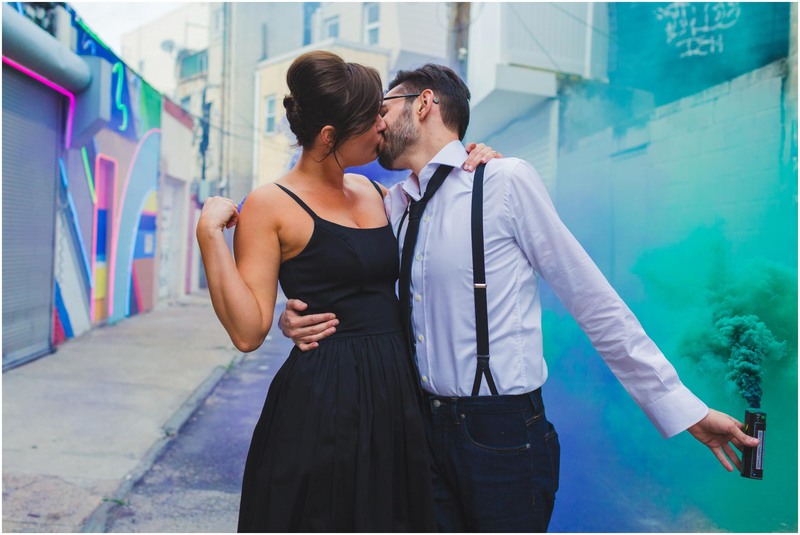 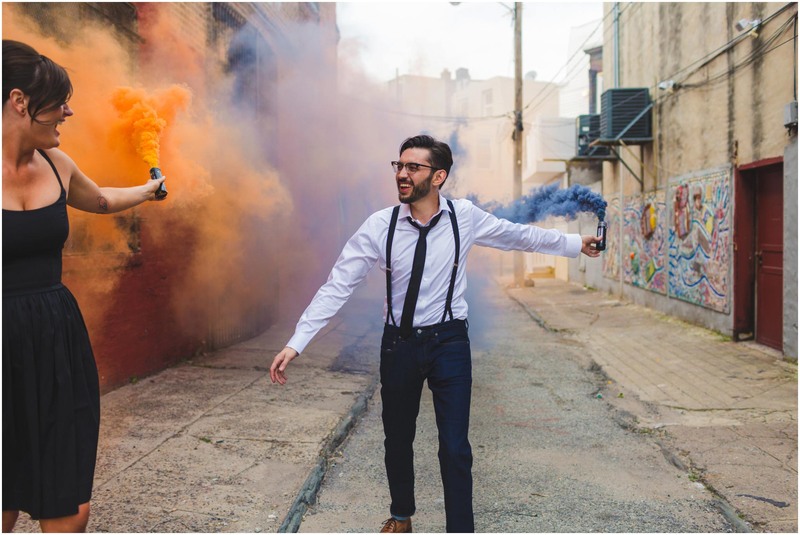 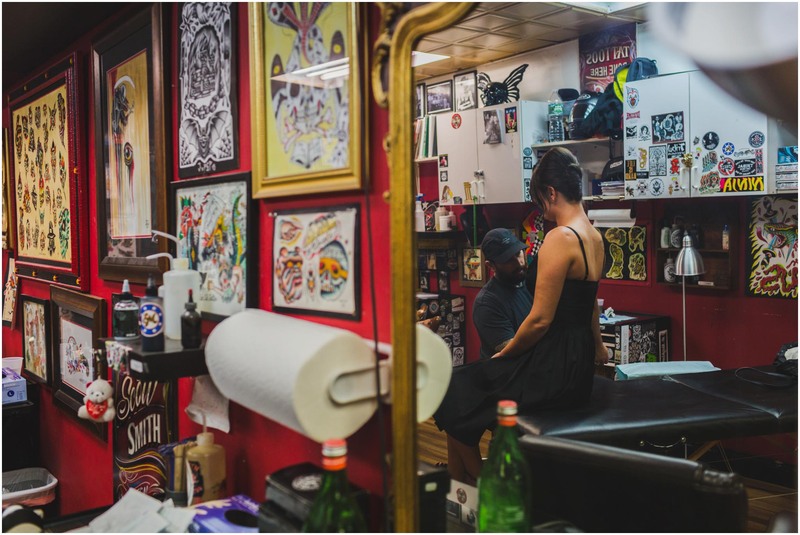 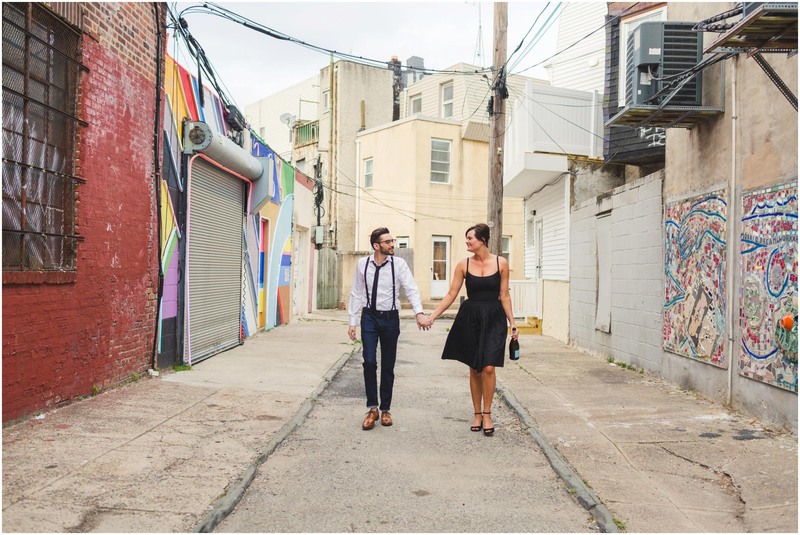 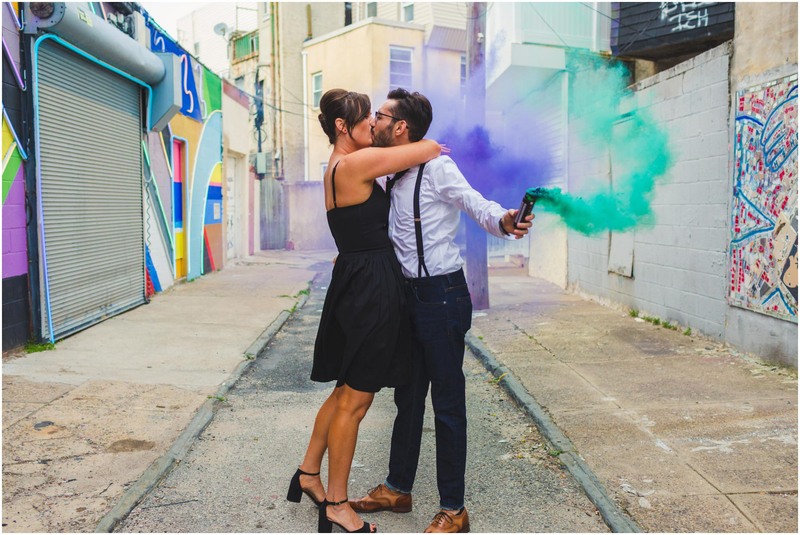 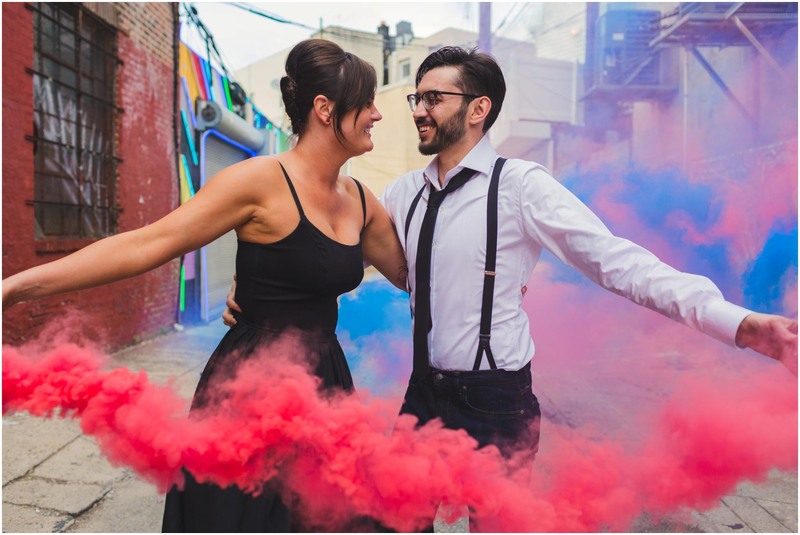 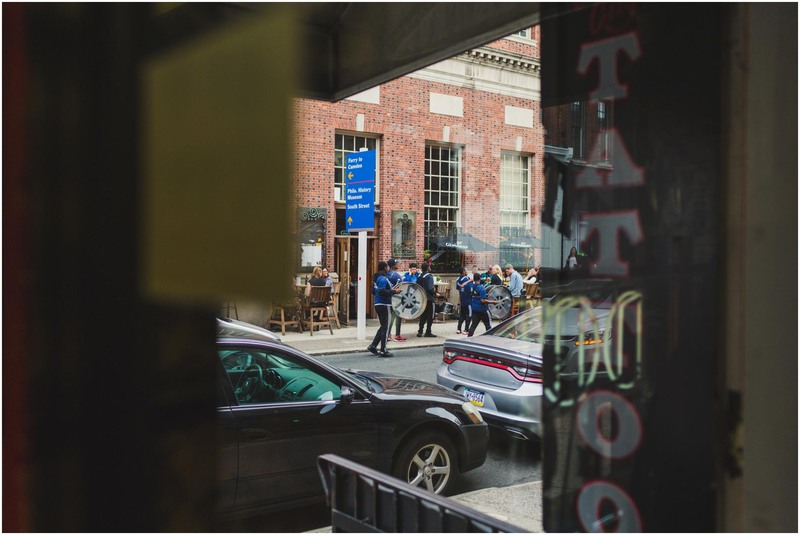 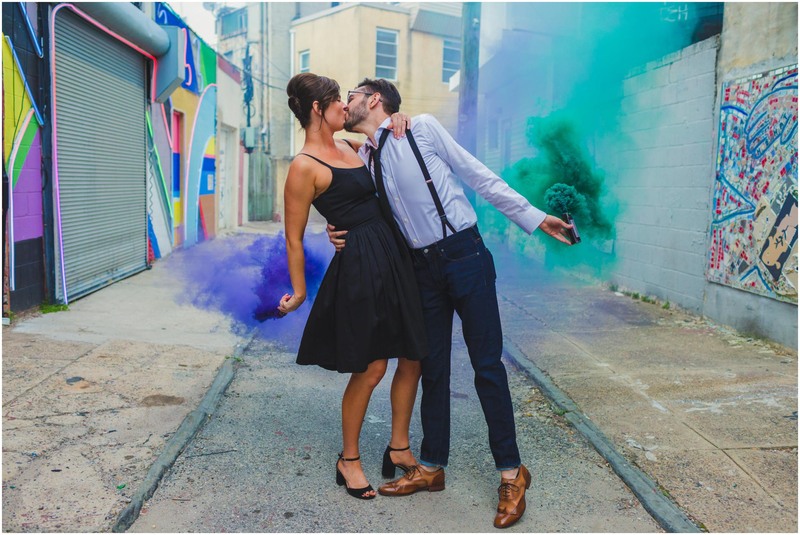 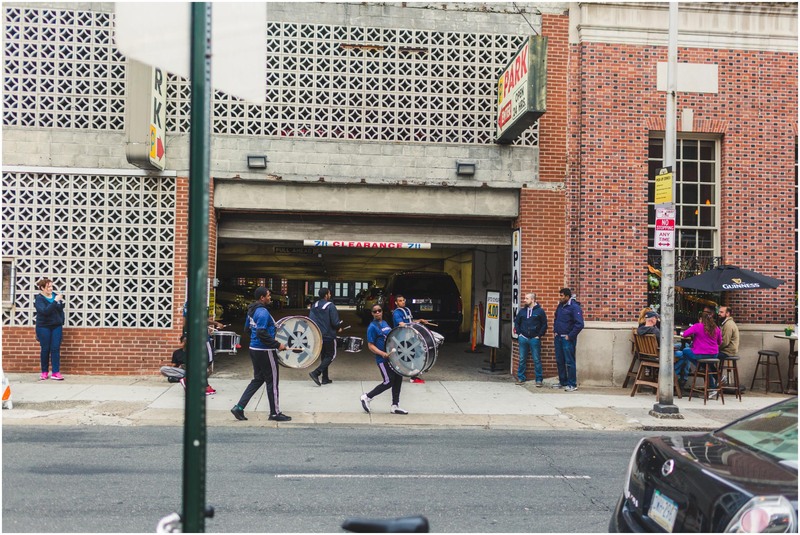 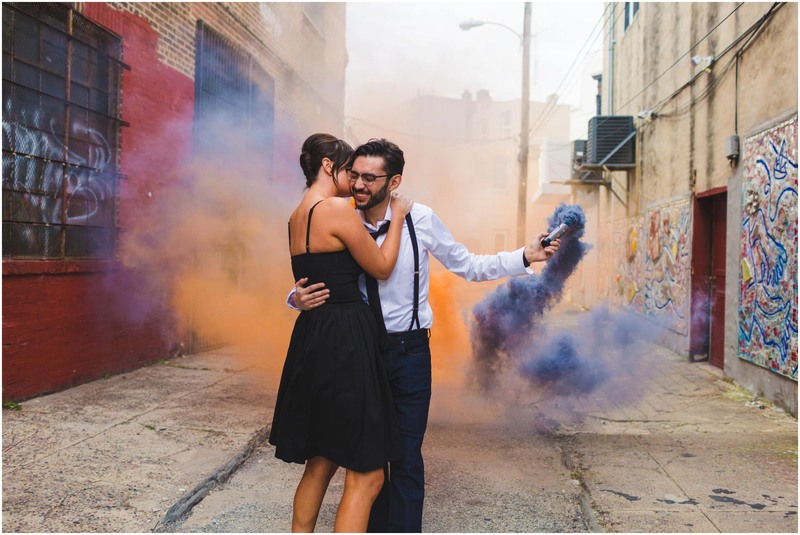 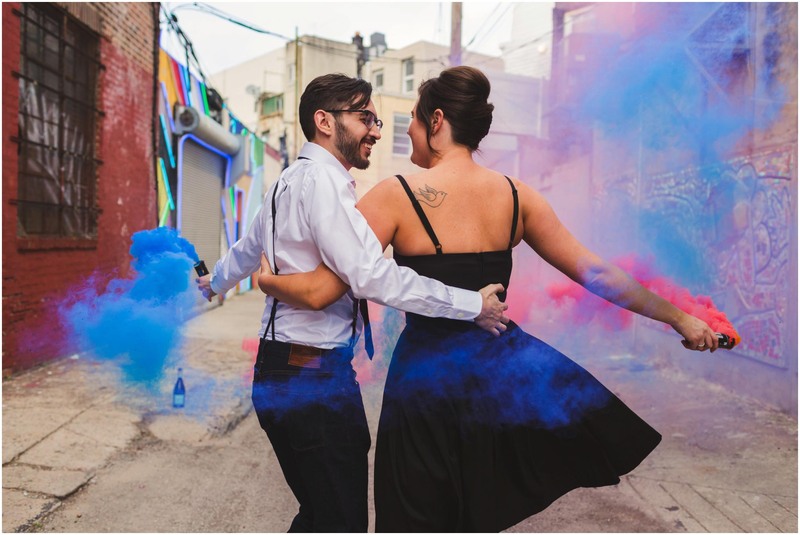 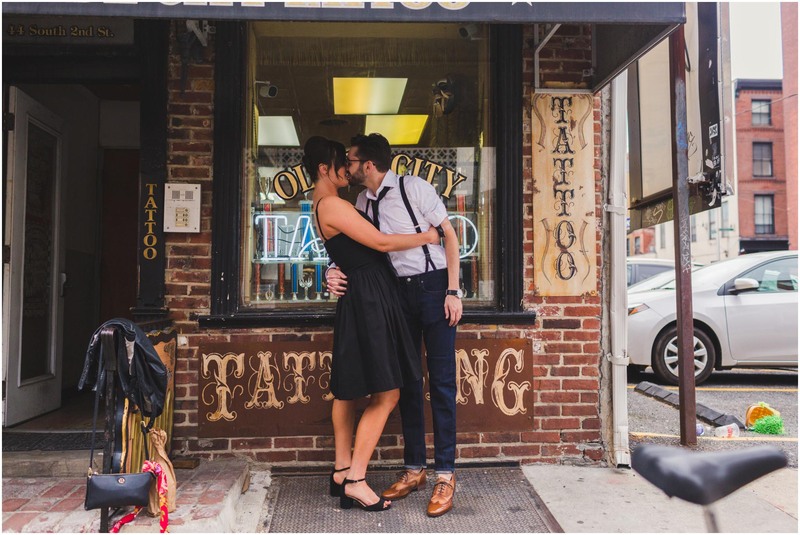 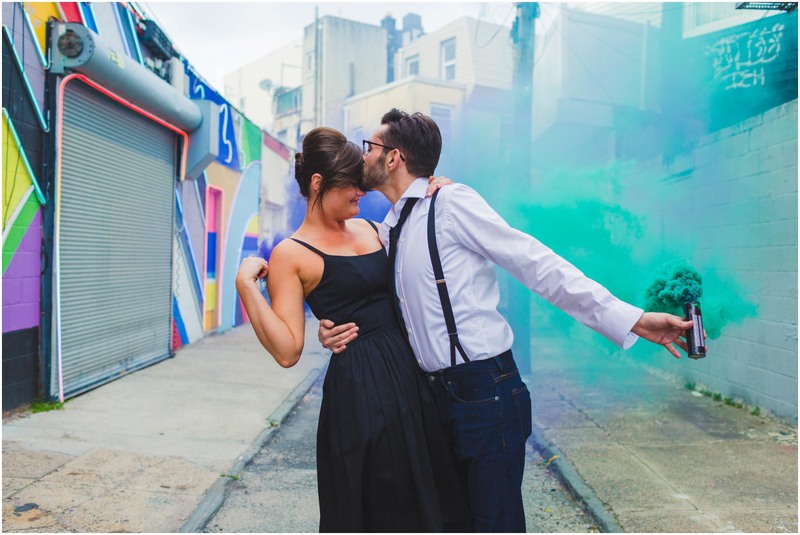 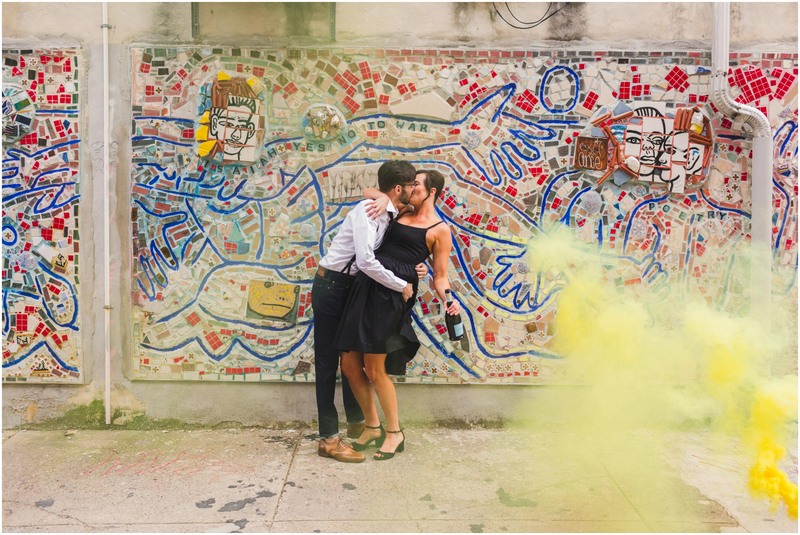 A colorful, rock n’ roll engagement session in Old City and South Philly — with matching tattoos, smoke bombs, confetti, and champagne? 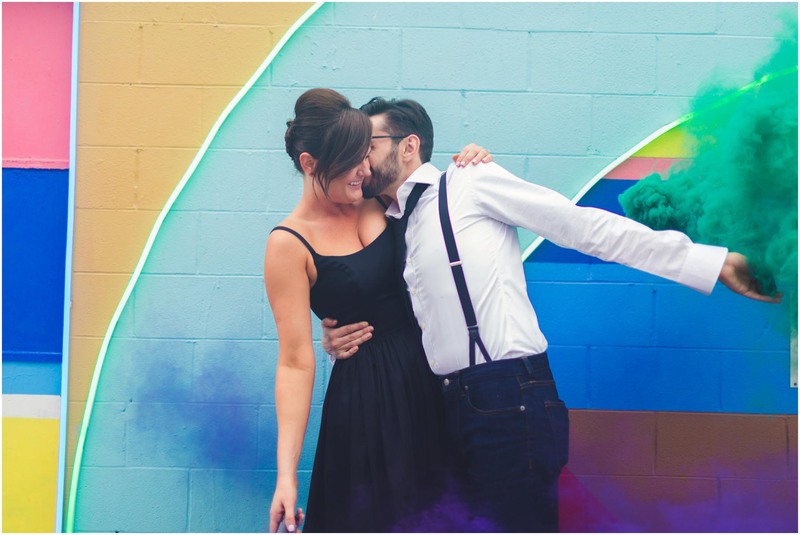 Yasssss. 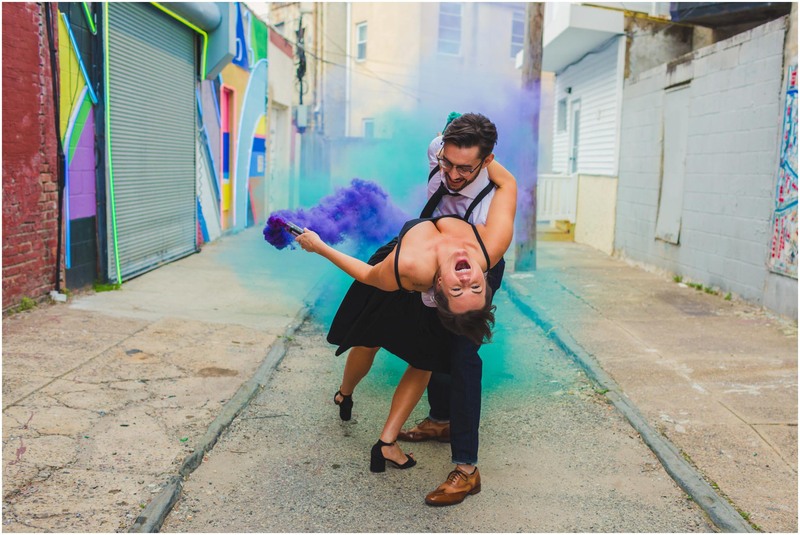 I’m so glad Dana and Mark let their personalities run wild during their shoot together. 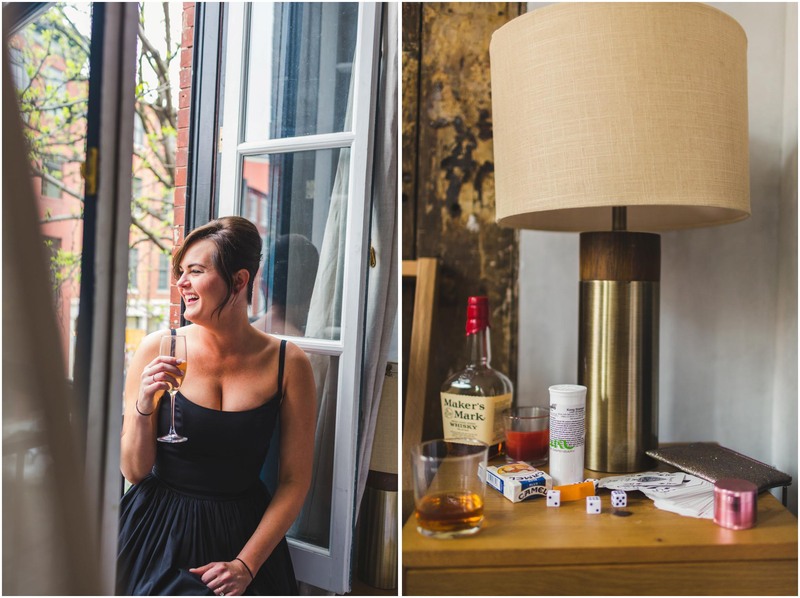 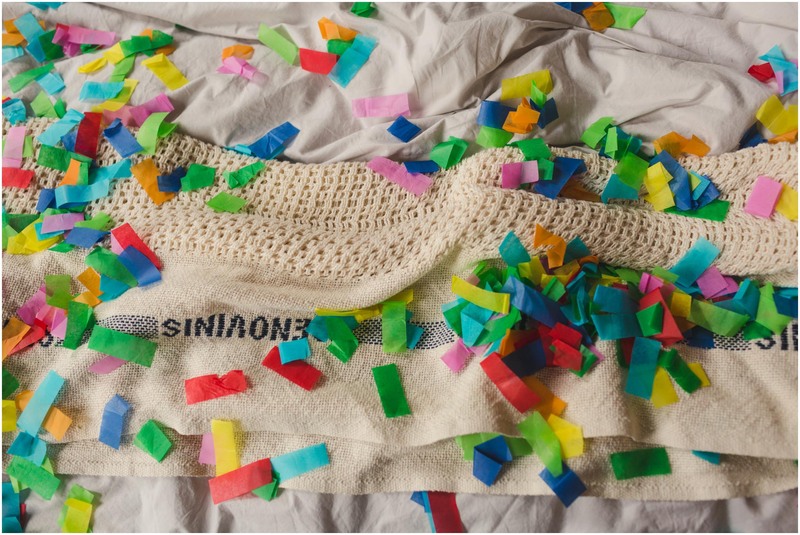 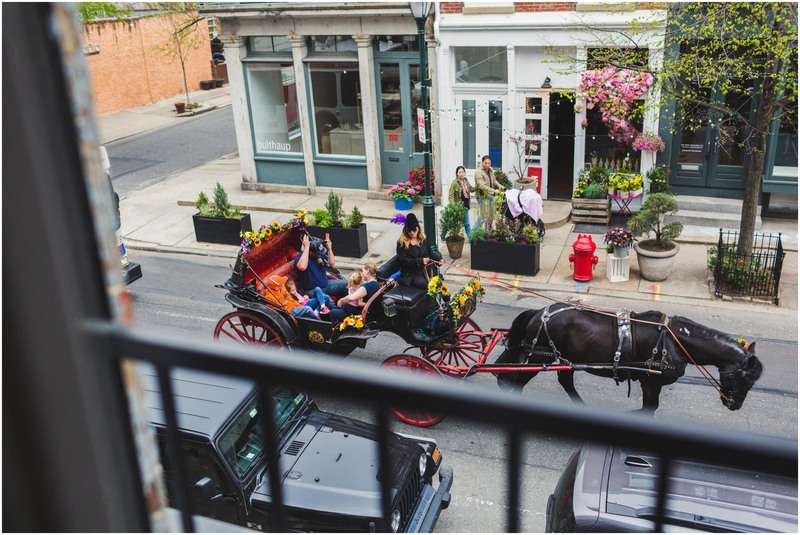 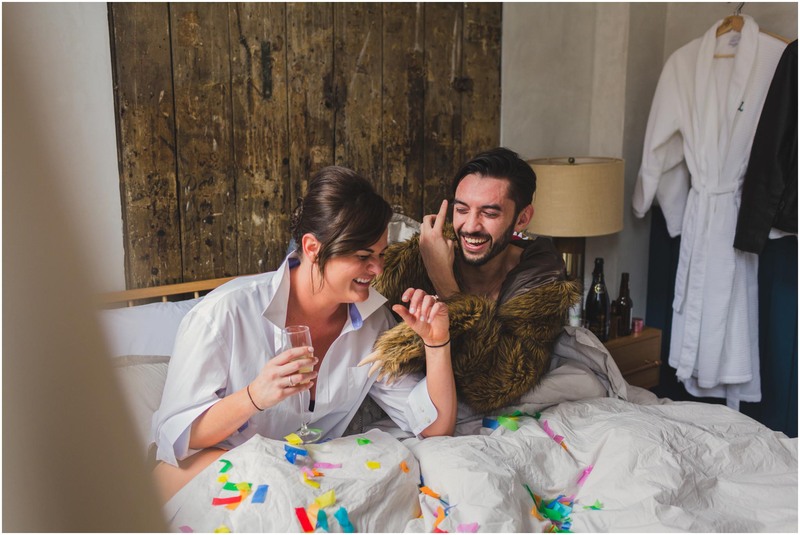 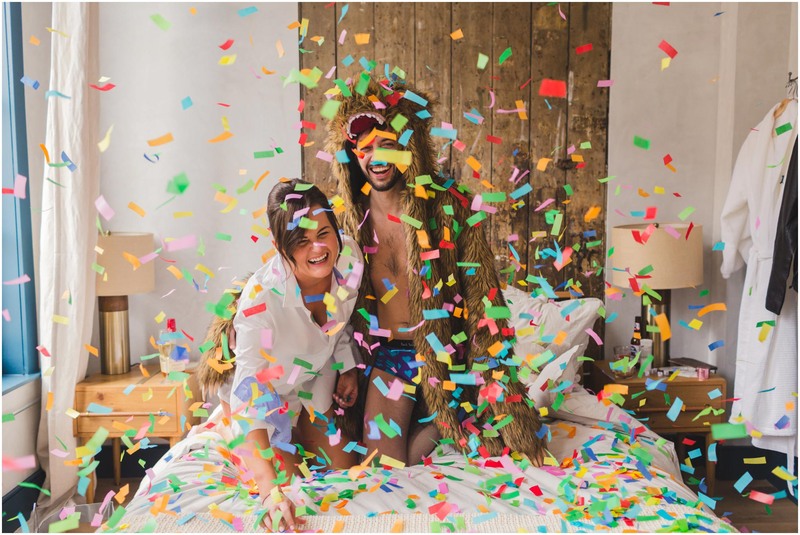 Things got a little weird (in a good way) at Lokal Hotel in Old City, Philadelphia. 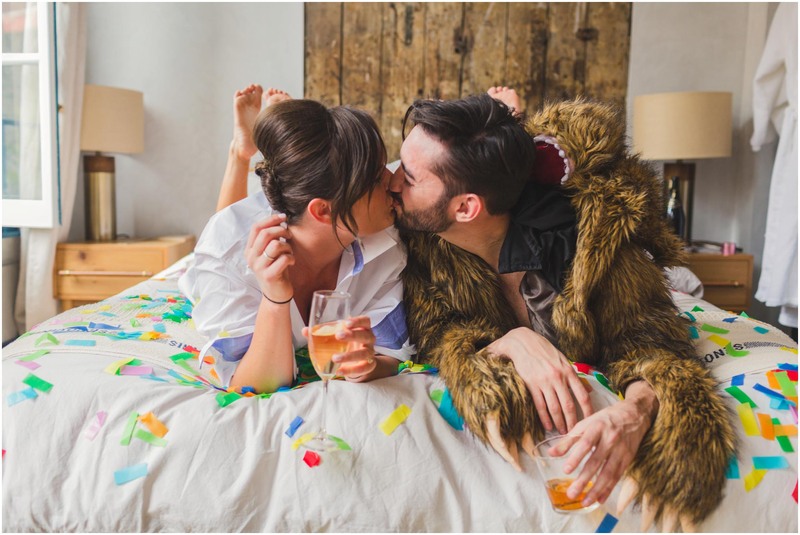 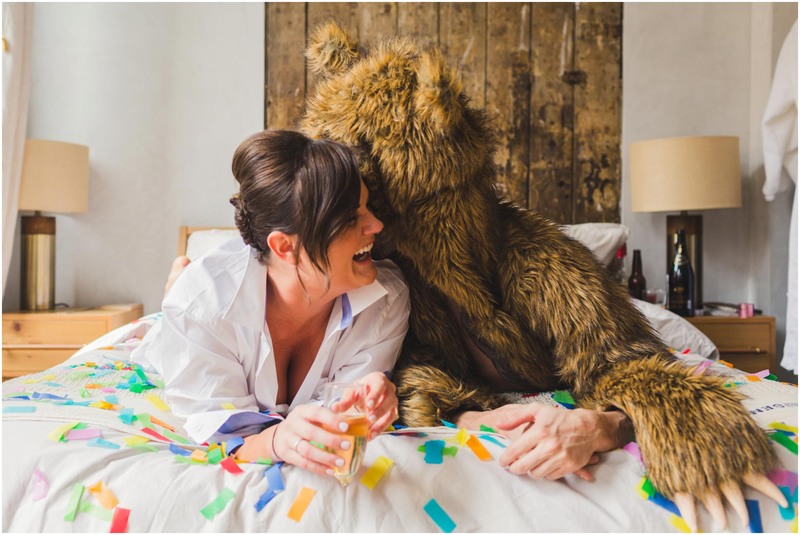 I don’t know why no one has ever modeled a bear coat during an engagement session before. 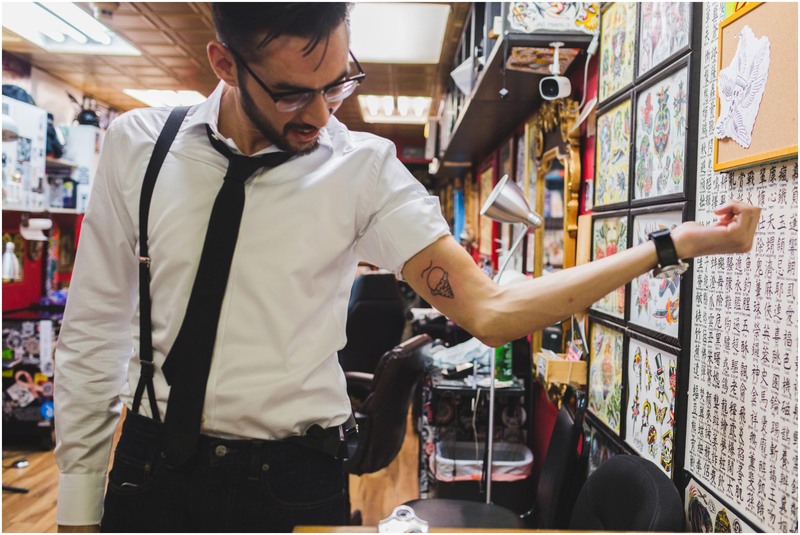 Mark is clearly ahead of his time. 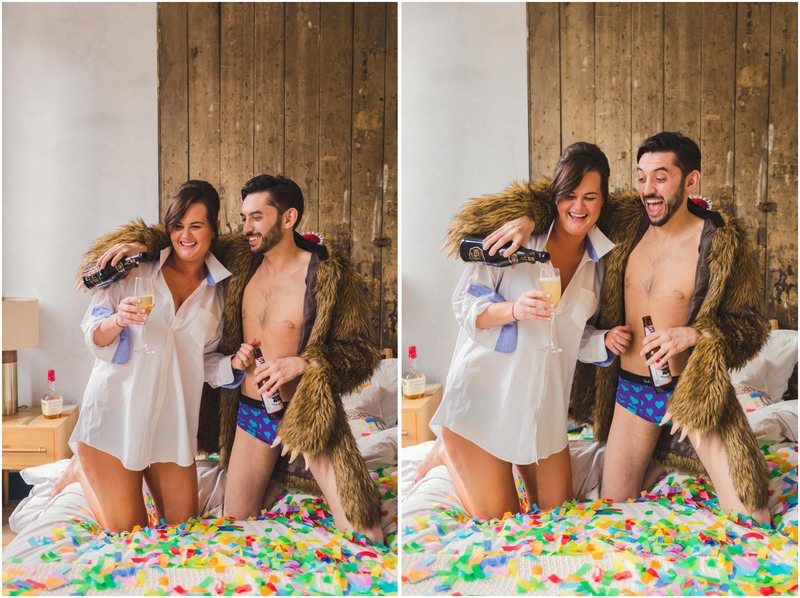 Blake from Workaholics would undoubtedly approve. 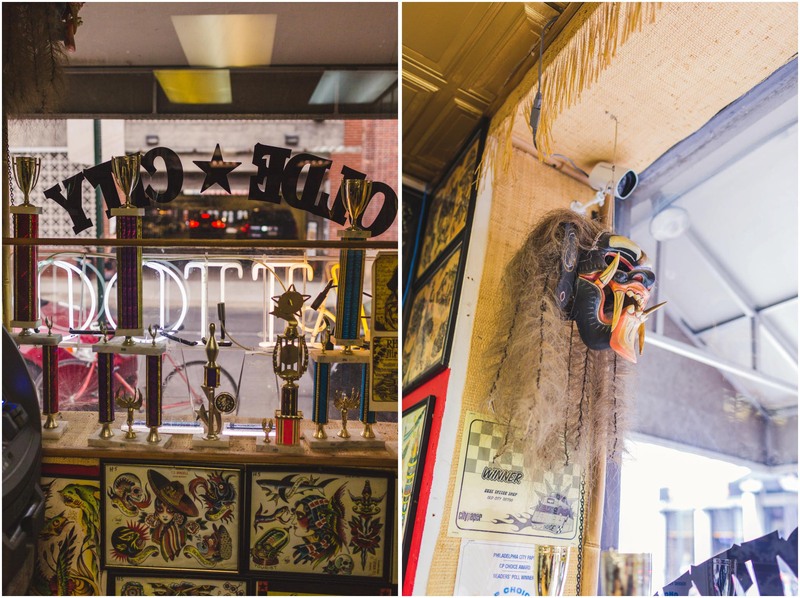 After listening to records and throwing allllll the confetti, we walked to Olde City Tattoo. 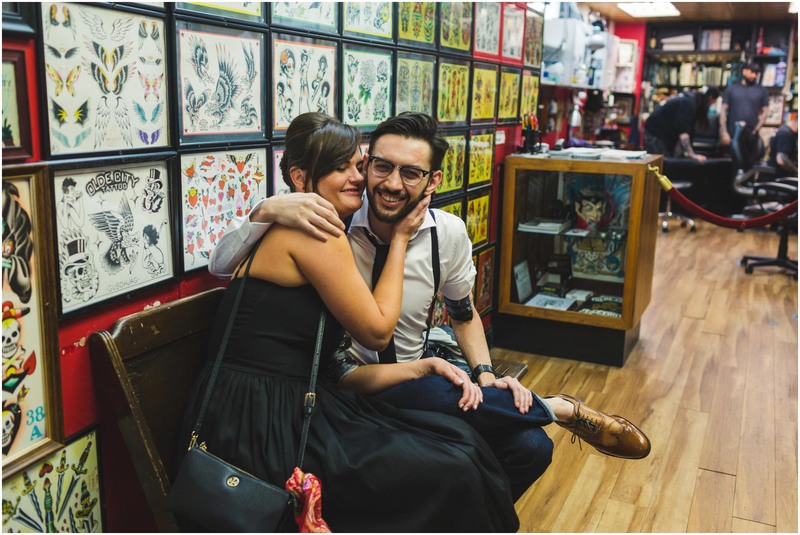 Dana and Mark got matching tattoos of ice cream cones with a tilde on top. 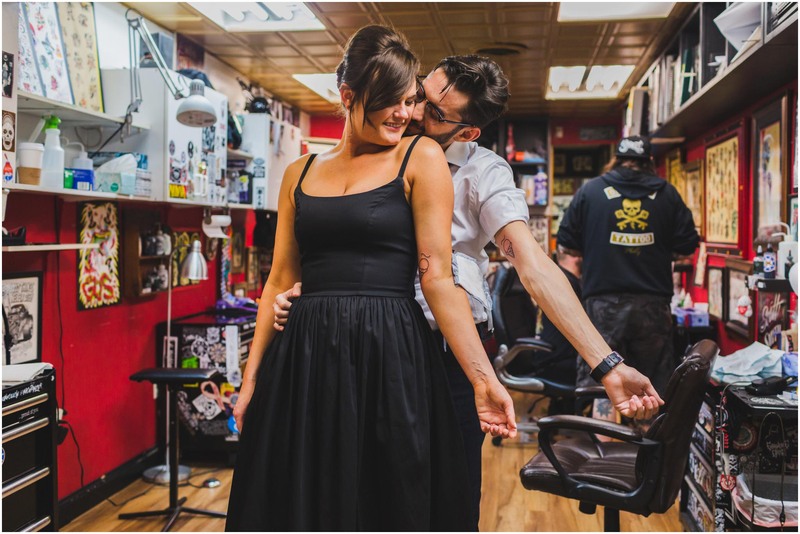 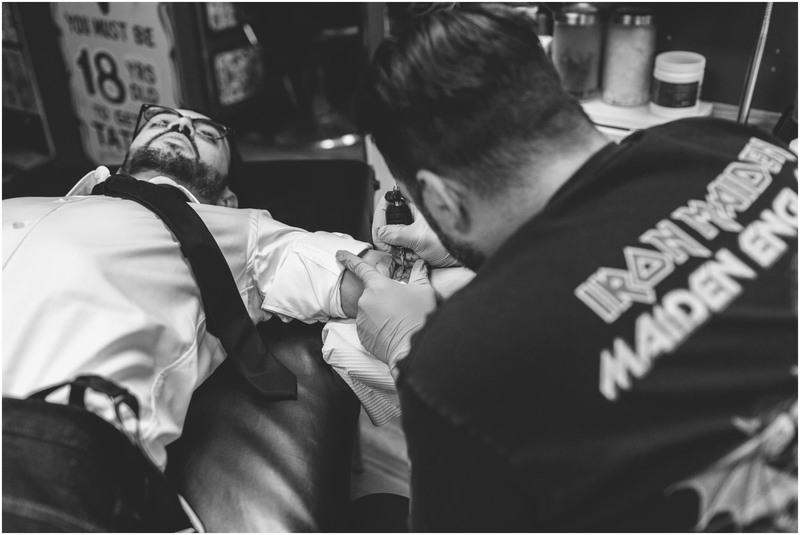 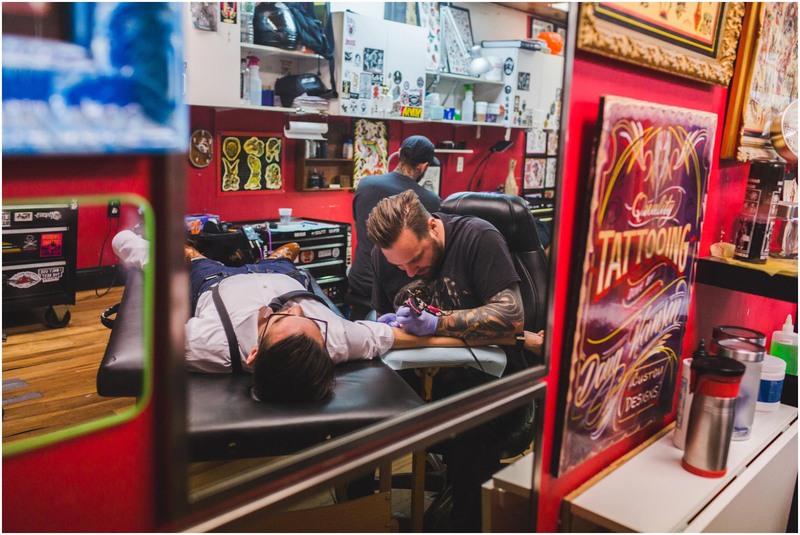 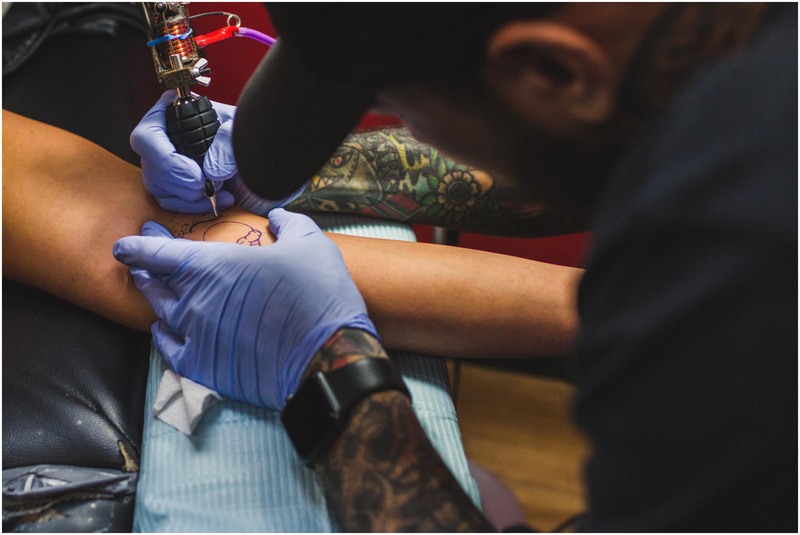 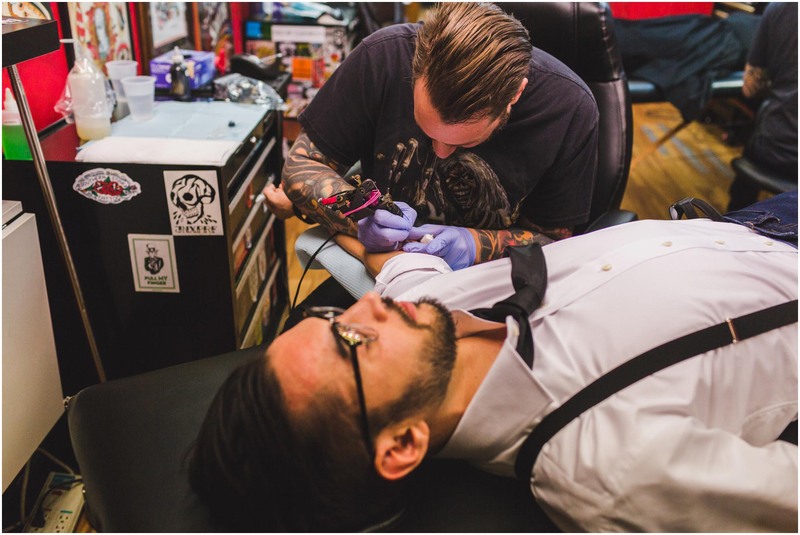 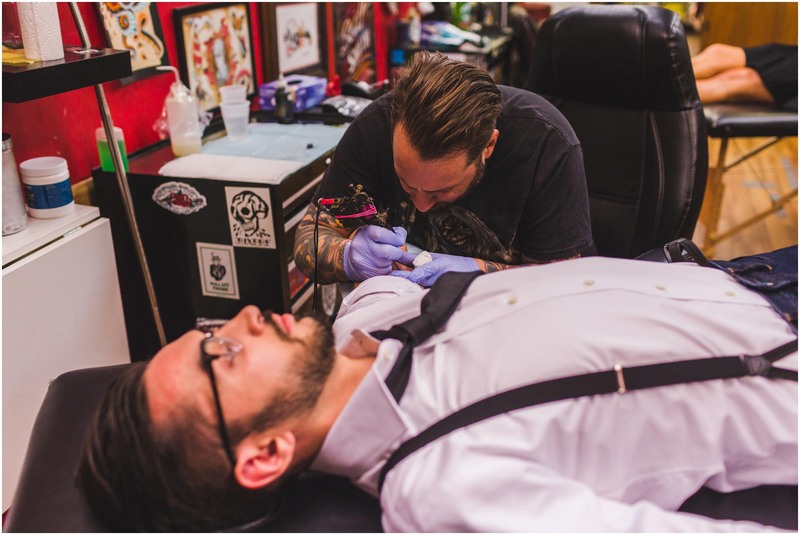 Their tattoos are an inside joke — inspired by a nickname they’ve been calling each other for years. 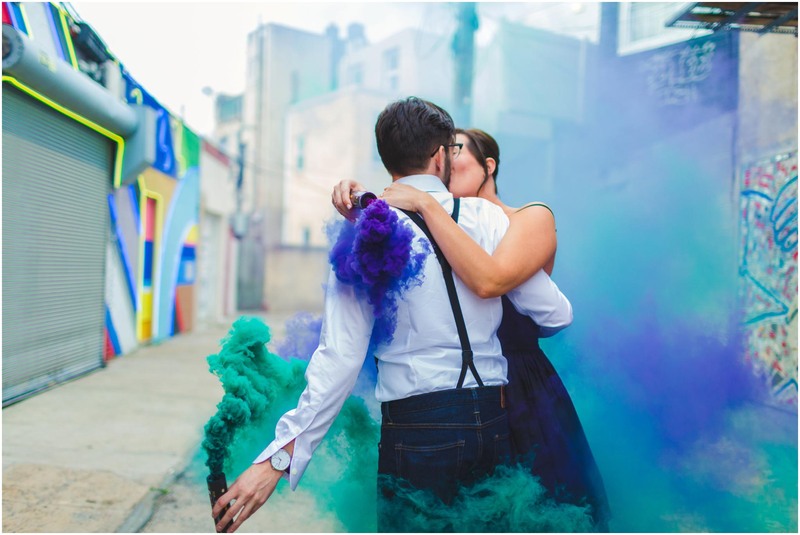 We wrapped up their session with colorful smoke bombs in the alley of Percy Street Project— a neon mural installation in South Philly. 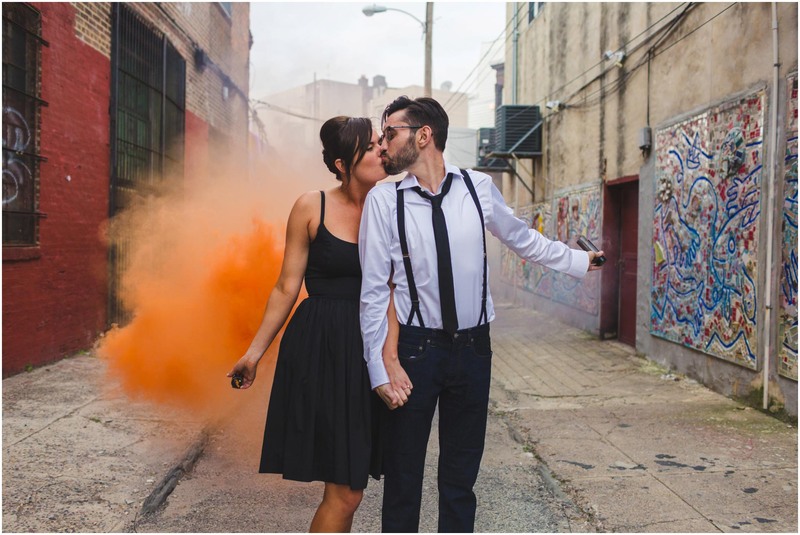 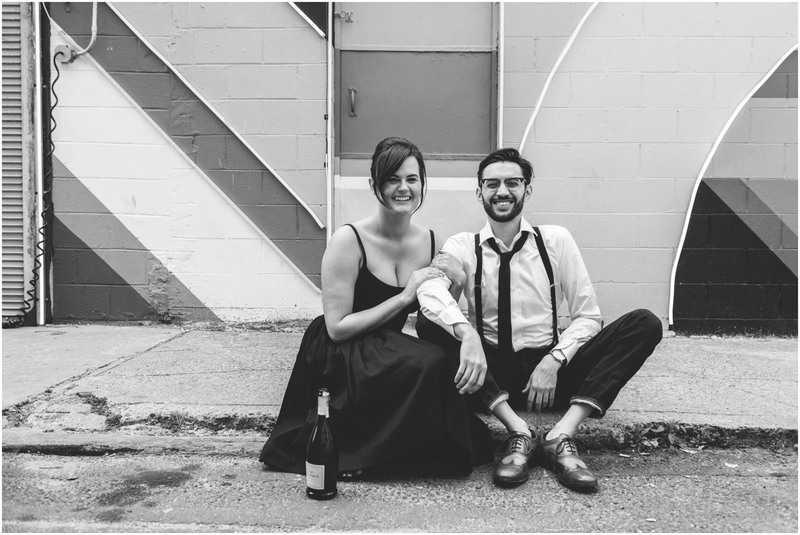 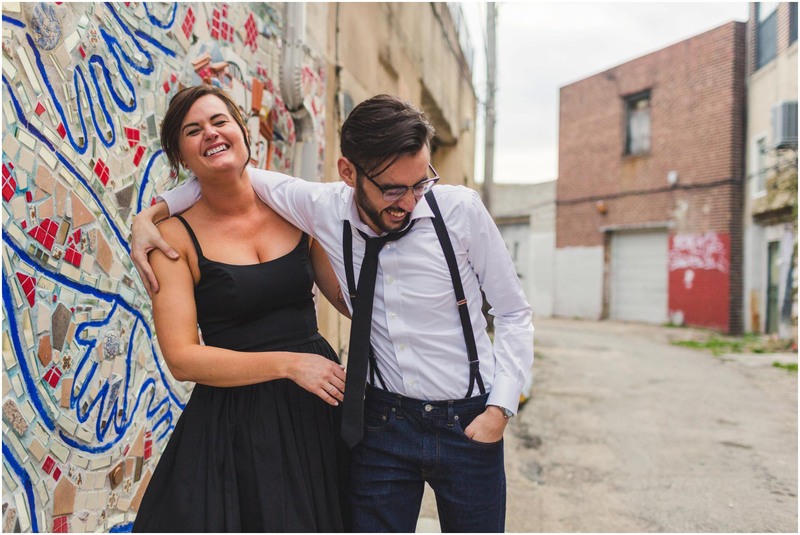 I can’t wait to photograph their wedding at The Masonic Temple in Philadelphia.